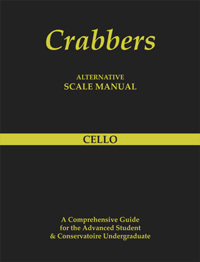 The term ‘Cello Masterclass’ covers a number of different scenarios of teaching and location. Cello masterclasses are sometimes held in public and sometimes in a more intimate teaching scenario. The public cello masterclass often takes place in a music conservatoire and can be a somewhat daunting experience for the student. There will usually be a pianist in attendance, and there is an expectation that the student will perform to concert standard. The comments made by the professor will be made partly to the student, but also to the audience, and will often involve a mix of suggestions relating to both interpretation and technique. Cello masterclasses in a lesson and teaching room scenario can have a different dynamic as this is less of a public forum. Here the performances may be open to observations from fellow students who may also be performing in the same session. This sort of class will often focus on more detailed technical work and provide an opportunity for discussions between the students and the teacher. Students attending music courses or a cello course who have individual tuition with one professor may have the opportunity to attend masterclasses with another teacher, thus giving them an added dimension to their studies on that particular course. In the process, they will have the opportunity to listen in detail to other students performing and may well come into contact with new repertoire. There is one other type of cello masterclass, the TV class, which will usually have a live audience. The cellists taking part in such events are often young soloists and the professor is usually a world class performer. Are you looking for a highly experienced cello teacher/performer and chamber music coach?